OK so YOU have a lot to say. Think you can get it out in under three minutes? Looking to tell the WORLD how you see it? How the country is going to HELL. How the political process just can NOT go on working the way it has been because it ISN’T WORKING for the working class? Your not rich, I’m not rich and life just gets harder and harder because??? Maybe you’re on Easy Street and you think people are lazy or it’s ALL the illegals fault for soaking of the J.O.B.S. and Whatever. Have a yearning to tell it to the world? Well here is YOUR shot to get it off your chest and put it in front of the world. 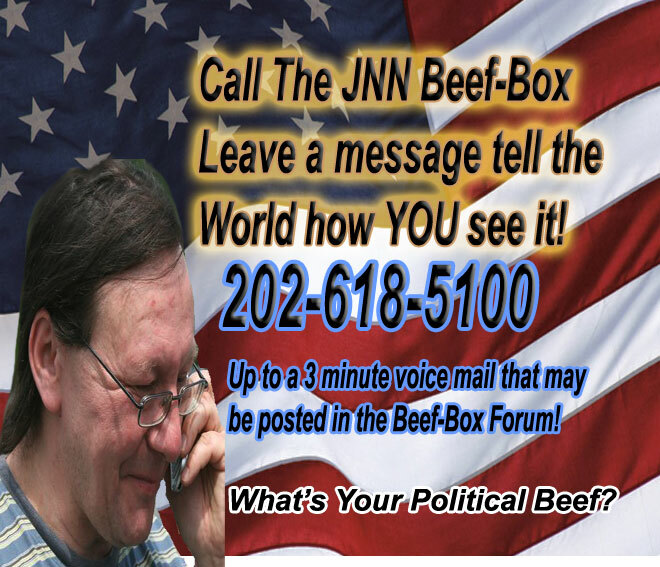 Dial Up the JNN Beef-Box and leave that message. Maybe the World will get your message and embrace it. Or Maybe, just Maybe the crowd will say For-Get-About It. No matter what WE will listen to ya, and if you make sense, or make NO sense at all we might just spread your message over the Internet. Hey Buddy, Hey Lady, What’s YOUR Beef anyway?